By the end of 2018, businesses in Zabaykalsky Krai in the processing of wool exported to China 540 tons of sheep, a year earlier in China were exported 459 tons of fleece. This figure is 17.6% higher than the level of export sheep wool made in 2017. In total, livestock farms of all categories produced 1,450 tons of sheep wool, which is 7.1% higher than last year. 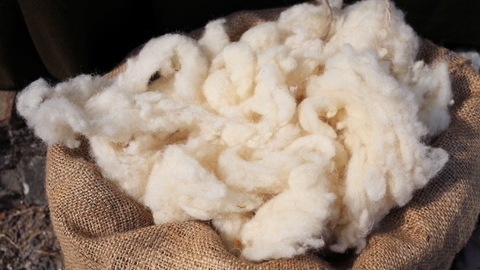 In agricultural organizations and peasant (farm) in 2018 produced 762 tons of wool. Compared to the 2017 year clipping of wool from one head last year increased by 2.1%. The total amount of wool produced in the region was higher by 8.3%. In terms of production of wool Zabaykalsky Krai occupies the 9th place among the regions of the country. For astrigo of wool per head with an index of 3.1 kg Zabaykalsky Krai occupies the 2 place, a little behind the leader of the Stavropol territory, where on average get 3.2 kg on the head. The maximum purchase price of 1 kg of Merino wool 60-64 Tonini in 2018 reached 207 rubles, the highest in recent years. In 2017, the highest price at which the farmers were able to realize the fleece was 185 rubles per 1 kg. Currently on the territory of Zabaykalsky Krai are operating two factories for processing of wool – OOO "Runo" in AGINSKY district and "Hand" in Borzinsky district. In 2018, OOO "Runo" is conducted work on modernization, purchasing and entering into operation the equipment for processing coarse wool.